As far your PC is considered, there should be some internet download manager to handle all your downloads easily and efficiently. Internet Download Manager is one this kind which is the most used download manager and accelerator since many years. And presently IDM ranks no.2 in Download Managers (according to CNET website review). IDM's latest version v6.07 has been released recently and it is recommended to try this software which works on Windows platforms. Let us look at some short review about IDM software and hope it understand better. Internet Download Manager is a PC tool, called as Download Manager and Accelerator, which can speed up your downloads to 5 times. The main use of IDM is to resume, schedule and organize the downloads simply and actively. IDM can download any number of files and documents simultaneously without being crashed or suspended. You don't have to worry when a download gets stuck or goes unnoticed. IDM has the ability to resume the download for broken links which is caused by network disconnections or power fluctuations. 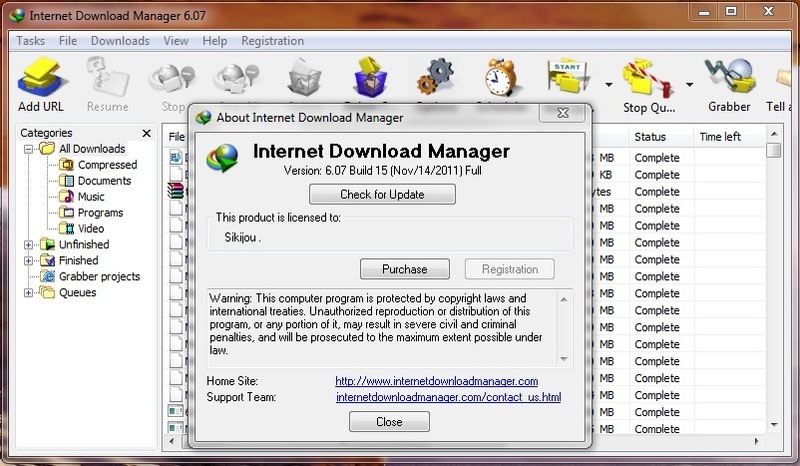 New version IDM v6.07 build 15 fixes all those important bugs like browser integration and now it supports Firefox 9. Browser's Supported for Integration: Mozilla Firefox, Google Chrome, Internet Explorer, AOL, MSN, Opera, Avant Browser, Safari and many others. You can set the integration with its "Advanced Browser Integration" option. You can Schedule the downloads. Specify time interval between each download. Download huge files and in bulk, simultaneously. With just one click, IDM catches download and will be forwarded for acceleration. Simply "Drag & Drop" files to IDM and start downloading. Accelerates download up to 5 times (depending upon your internet connection speed). Speeds up the download taking available connections. Resume or Pause Downloads even after system crash or network failure or power fluctuations. You can Download Youtube videos as well as MySpace and Google Video in FLV format with a browser addon says to "Download This Video". This is addon is integration to browser after Installation. Download Images, Video, part of website links or complete website links to browse offline. Organizes the downloads and puts them in specific folders created, known as Download Classification or Segmentation. You can enable Automatic Antivirus check for the downloaded files. Supports all top PC antivirus. A Simple Interface for easy navigation to travel through different options and features. You can set the download limit to how many files IDM can download at a time. Enable Automatic Update Feature(Recommended) for new and advanced versions. Supports HTTP, HTTPS and MMS protocols. Supports Proxy Servers like Microsoft ISA and FTP. IDM is multilingual and supports all major languages. Summing up all the above features and review, IDM is a must have download manager and accelerator in your PC. IDM gives a 30-day trial subscription with limited but flexible features. You can get more improved features with full version which has to be upgraded. 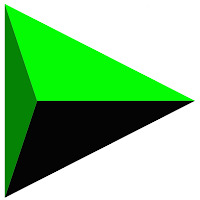 Download Internet Download Manager v6.07 build 15 30-day trial version from below download link which redirects to IDM's official site.